Astrobotic commends the President’s Fiscal Year 2020 Budget Request for NASA, which contains continued strong funding for the agency's Lunar Exploration Campaign. Robust funding for the Lunar Discovery and Exploration program, which includes steady funding for the Commercial Lunar Payload Services (CLPS) program, is particularly welcome as it will ensure American leadership on the Moon by enabling a campaign of robotic deliveries of science and exploration payloads to the lunar surface. In addition to CLPS, Astrobotic also supports the proposed Lunar Future program that makes important investments in public-private partnerships and innovative approaches to achieving science exploration goals, such as the development of small rovers delivered via commercial landers, and the building and launching of instruments that serve lunar science and exploration needs. This budget wisely makes use of commercial capabilities coming online now and invests in the future of sustainable lunar exploration. As a central part of NASA’s plan to return to the Moon, CLPS is leveraging existing private sector services like those offered by Astrobotic to deliver cargo shipments to the Moon. CLPS will enable the first NASA payloads to be soft-landed on the lunar surface since the Apollo Program, and open a new era in science and exploration with regular commercial deliveries of uncrewed payload to the lunar surface. Image is courtesy of Astrobotic. Astrobotic’s Peregrine lunar lander is poised to serve as America’s workhorse robotic lander, delivering up to 265 kilograms of payload on each mission. With Peregrine’s robust delivery capacity, the lunar surface is open to NASA and the commercial market for resource prospecting, planetary science investigations, technology maturation, and other activities. Astrobotic plans on sending Peregrine on its first mission to the Moon in 2021. In addition, Astrobotic continues to strongly support NASA’s larger exploration campaign, centered around the Space Launch System rocket, Orion spacecraft and their enabling ground systems, as well as the Lunar Gateway. The Gateway is a particularly crucial piece of infrastructure that will enable the next generation of science and exploration in cislunar space and would serve as the first infrastructure on and around the Moon — ensuring that America’s return to the Moon is permanent and sustainable. These elements will enable NASA and the private sector to open a new era for American space leadership. 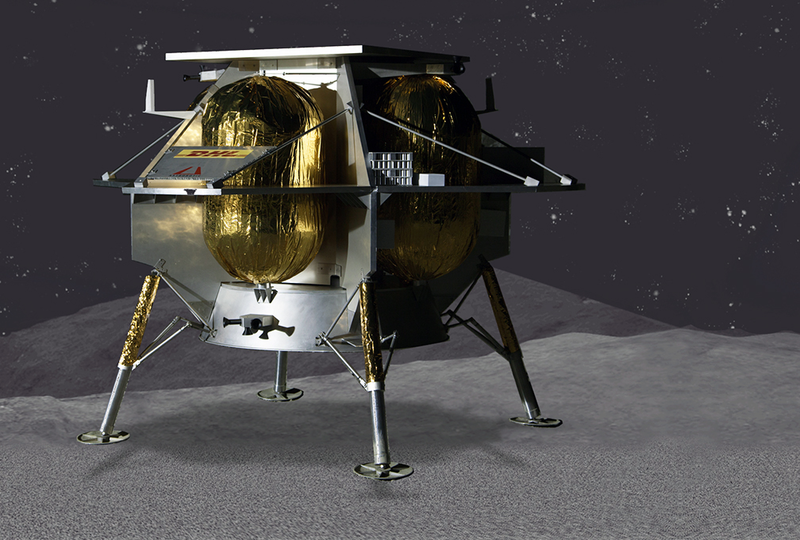 With this FY2020 budget request, Astrobotic looks forward to competing for NASA payloads under CLPS and returning America to the Moon with a sustainable, long-term presence that starts with robotic landers in 2021. Astrobotic strongly supports the administration’s budget for these programs and looks forward to working with Congress as it considers this proposal throughout the upcoming budget and appropriations process. John Thornton, Astrobotic CEO, said the company strongly supports NASA’s efforts to move forward with a sustainable and inspiring lunar exploration campaign. From concept in last year’s budget request, to the initial announcement of CLPS last summer, to the CLPS awards in November and payload selection announcements early this year, the company hails NASA’s expeditious movement to establish a new path to the Moon. The resources provided under this year’s budget clearly demonstrate NASA’s continued commitment to this program. As a CLPS provider, Astrobotic stands ready to assist NASA in achieving its goals on the Moon and are excited about the possibilities of the year to come.